Thanks for a GREAT 2018 Season! We hope you join us again for the next Pumpkin Festival on Saturday and Sunday, October 5 & 6, 2019. After the festival weekend, Pumpkin Fest continues throughout the entire month of October. Below is information from the 2018 pumpkin season. Prices, activities, and times are subject to change. Our Pumpkin Patch is known as one of the largest in California. 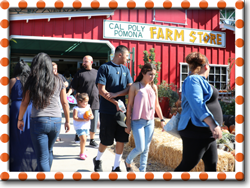 Over 40,000 Cal Poly Pomona grown pumpkins fill the huge patch. Best of all every pumpkin, big or small, is ONLY $5! 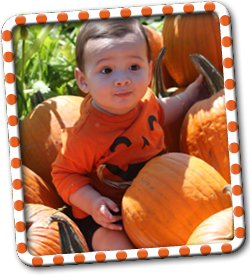 There is NO FEE TO ENTER the Pumpkin Patch after the festival weekend, however, fees apply for other activities. *The Hay Ride and Corn Maze closes at dusk, Petting Farm closes at 4pm, and last admission for the Pony Rides is at 4:30pm. Also limited Free Parking October 9th – 31st, 2018! For the safety of all animals, dogs are not permitted on the premises (with the exception of service dogs). Our adorable farm animals will be back on Opening Day, April 13, 2019. Please check the calendar for operating hours before coming. 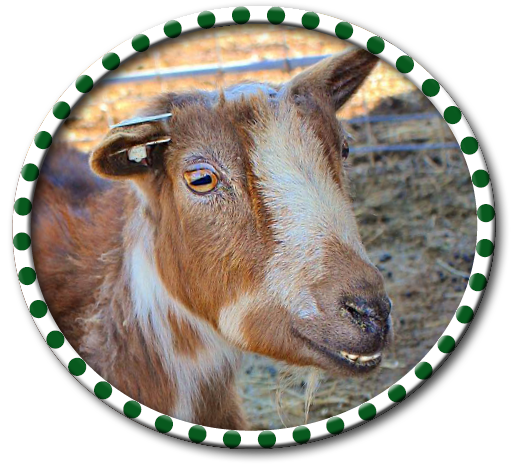 For the latest info, follow the Petting Farm on Facebook. For more details visit the Petting Farm page. A crazy web of twisting, turning trails that will leave you scratching your head searching for the way out. This corn is more than 12 feet high and not for the faint of heart, but don’t worry there’s Always a way out. Enjoy the fun treasure hunt and find all the markers spread throughout the labyrinth to solve the puzzle. The Corn Maze closes at dusk. 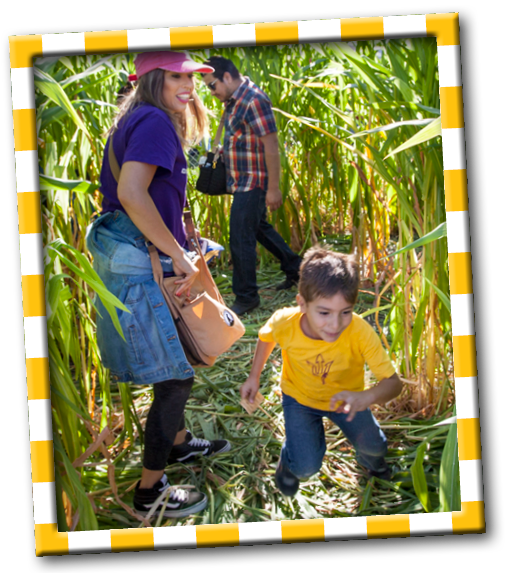 Enjoy roaming around the AGRIscapes farm on a hay wagon ride that circles the Corn Maze and some of the growing fields. 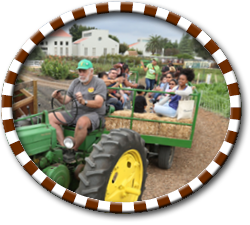 Your student tour guide will let you know some of the things going on at the farm. This activity is offered on weekends only and runs from 10am-dusk. Although we won't have all the food vendors that were there on Pumpin Festival weekend, folks can still shop at the Farm Store for drinks, food, gifts, and so much more while visiting the farm. The Farm Store is open daily from 10am-6pm, however, in the month of October the hours will be extended to 7pm Friday-Sunday. For more information about the Farm Store, visit www.cppfarmstore.com.